This wonderful adventure is our only round trip package that begins and ends in Calgary. 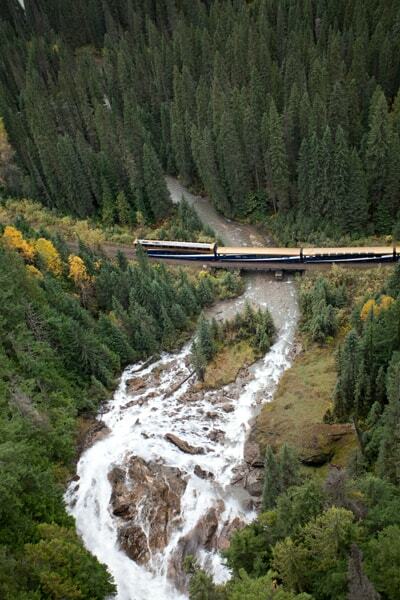 It includes 4 days on the Rocky Mountaineer, 3 nights in the Rockies and an overnight excursion to Victoria. 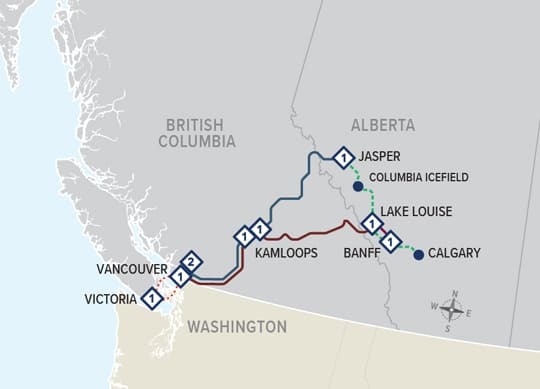 The Rockies and Victoria Circle begins with a transfer from Calgary Airport to Lake Louise Fridays and Tuesdays from April 19 to October 4, 2019. This package begins with an overnight stay in Calgary on Fridays and Tuesdays from April 19 to October 4, 2019.